This week there is a great deal for Ice Cream B1G1. Your OOP will be $2. Oh did I mention, the CAT deal wyb 2, get $1 off OYNO. There may even be a MIR. but YMMV. WHAT??? Couponing in itself is hard work. If you don’t know the “language or lingo” it can make it a little bit harder. Here is a list that I have compiled with the most frequently used acronyms and phrases. Hope this helps!!! BOGO or B1G1 – Buy one, get one. Many stores will regularly offer specials where you buy one product and get the next one free or half off. These can be a couponing gold mine if you can match them with manufacturer’s coupons. Bricks – Refers to a certain internet printable coupon that can be printed twice. The word “bricks” will be in the web address. Once you print, you can hit the back arrow on your browser and refresh to print your second coupon. Some bricks coupons are available by mail. Click help at the bottom of the bricks page and it will bring up a form if it is available to be mailed. Bump – To comment or reply on a thread or post in order to move it to the top of the social group or forum. Cartwheel – Target Discounts in the form of % off certain items. This can be used via a Smartphone app or printing the list and barcode on paper. This can be used at Target stores as a discount in addition to both a manufacturer coupon and a store coupon. The % is calculated on the item price less any Target coupon but before the price is discounted by the manufacturer coupon. Catalina aka CAT – A coupon or deal printed at the cash register after a purchase. These coupons are triggered by purchasing specific combinations of items and can be used on a future transaction or shopping trip. There are a number of different types of coupons. CC – Competitor Coupon. Is a store coupon that can be used in another store. For example, I could take a Hannaford Store coupon and use it at Price Chopper. You can also create a combination of mixing and matching MFRs, SCs, and CCs for even larger savings! Right now, the only store in our area that accepts competitor coupons is Price Chopper. Circular – A store’s weekly advertisement, typically available both in-store and in the newspaper. Many stores send their circulars out on Sunday, although some of my local grocery stores have new ones on Monday. You can also receive the paper on Saturday by buying the year edition Sunday paper. ECB – Extra Care Bucks (CVS Store) Check out coupons for Store Credit. Used as cash only at CVS. Inserts – Coupon packets that come in the Sunday Paper. The most common inserts are SmartSource and Redplum, which typically come every Sunday, and the P&G, which usually arrives around the first of the month. 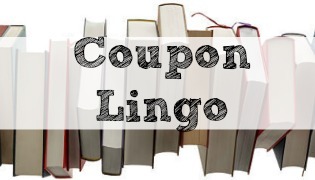 MFC, MC, or MQ – Manufacturer’s coupon. These are coupons that are provided by (and paid for) by the manufacturer. Most internet coupons and insert coupons are manufacturer’s coupons, although you can check by reading the fine print. It is important to know if you have a manufacturer or store coupons because some stores allow you to use one of each on the same item. Overage – When your coupons are worth more than the cost of the item. Each store has a different policy for overages. Many will apply that balance to other items you purchase, although some stores are starting to eliminate this practice. This allows you to use your savings to purchase items like product and meat, where coupons are harder to come by. The only store that I know of that continues to use overage is Walmart. Peelies – sticker like coupons found on products in the store. Printable Coupons – Online coupons that you can print and use. Common sources of printable coupons include Coupons.com, RedPlum.com, and SmartSaver.com. These are almost always manufacturers coupons. POP – Proof of Purchase. PSA – Prices Starts At. RC – Raincheck – signed slip from store allowing an item to be purchased at sale prices in the future when the item is no longer on sale. Received from the store when the particular sale item is sold out at the time of your visit. RR – Register Rewards. Check out coupons for Store Credit. Used as cash only at Walgreens or WAGS. Stockpile – The combined items or storage area for large quantities of extra stock. The storage area of items purchased through the process of couponing that is not currently being used. Store Coupon (SQ) or In-Ad Coupon – A coupon provided by the store, typically in their circular. These coupons are not reimbursed by the manufacturer. They are paid for by the store. Tear Pad – A pad of refund forms or coupons hanging on a shelf at the store. WAGS – Another acronym for Walgreen. WYB – When you Buy. An example of when this phrase is used; ”get $1 off product “B” wyb product “A”. YMMV – “Your Mileage May Vary” or in other words, it may work differently in your situation or be different in your experience. 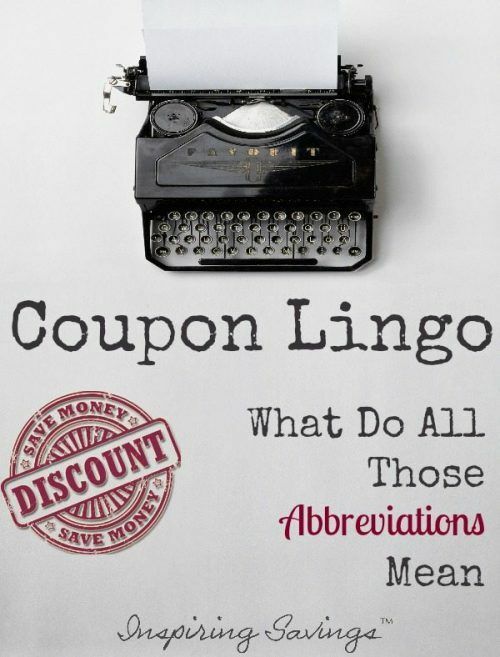 If you are a new couponer, you might enjoy reading our “Coupon Basics: The Beginner’s Guide to Coupons” section, or just start clicking around the site to see what kind of deals we have to help you save some money!